In our efforts to provide current information to members, we offer several webinars each year on a variety of topics focused on aspects of how to achieve Net Zero. Each webinar is usually one hour long with approximately 45 minutes of presentation and 15 minutes of question and answer at the end. Information on any upcoming webinars will be posted below, as it becomes available. Missed a webinar or want to re-visit a past one? CHBA Members can also access past webinar recordings and slide decks in the archive section below. SAVE THE DATE! More information and registration coming soon! There’s a need for changes in wall design, detailing, and construction to move towards more highly insulated assemblies required to reach Net Zero and Net Zero Ready levels of performance. Exterior wall systems are an important consideration that determine much of the cost and constructability of a home. Details left for consideration on-site can lead to delays, costs, and deficiencies. Natural Resources Canada (NRCan) is using learnings from its Local Energy Efficiency Partnerships (LEEP) Initiative in British Columbia to establish some common wall assembly designs and details that builders, designers, and trades across Canada can use or modify for Net Zero and Net Zero Ready Homes. Graham is a Principal and Senior Building Science Specialist with RDH Building Science. He has a passion for technology and improving the energy efficiency and resiliency of new and existing buildings. Graham is involved in a wide range of projects at RDH including: building research studies, forensic investigations, building performance monitoring, hygrothermal modeling, and engineering consulting on existing building retrofits and new construction across Canada and the US. He is regularly invited to present to industry groups on the latest building science topics and has co-authored several publications and practical industry guidelines on high performance building enclosures. Mechanical ventilation equipment is a key component of your building and has a great influence on the comfort and health of the occupants. Gord Cooke from Building Knowledge Canada will share his thoughts and advice based on his extensive experience. Loïc Arès from Venmar will provide useful information to guide the builders and energy advisors through the different options available. Doug Tarry from Doug Tarry Homes will provide input about the use of energy recovery ventilators from a builders’ perspective, based on his experience and the feedback from home owners. Gord is a sought-after presenter for his areas of expertise in applied building science, energy efficient housing initiatives, innovative HVAC systems, ventilation, and Indoor Air Quality (IAQ). A professional engineer with more than 30 years of experience in the low and high-rise residential building industry, Gord shares his insights and passion as he advocates for better building practices and methods for improving IAQ and energy efficiency in new and existing homes. Combining solid building science with his training and technical background, his presentations and workshops have been requested by builders, contractors and building conferences throughout North America. Gord is Chair of CSA F280 Standard for Determining the Size of Residential Heating and Cooling Systems; Member of CSA F326 Standard for Mechanical Ventilation; recipient of the EEBA Excellence in Building Legacy Award; and Ontario Home Builders Hall of Fame Inductee. Are you Still Air Sealing Your Homes From the INTERIOR? An exceptional level of airtightness is a critical first step towards achieving net zero ready performance and ensuring long term performance and durability of the building envelope. Simply adding more insulation to meet new stringent energy efficiency Codes without controlling air leakage could lead to unintended consequences and premature building enclosure failures. This webinar will cover the simple details of Owens Corning’s innovative CodeBord exterior air barrier system that helps builders achieve exceptional levels of airtightness (below 1.5 ACH at the framing stage) and provide maximum occupant comfort. Jennifer Weatherston from Reid’s Heritage Homes will share her teams experience and journey in implementing the CodeBord exterior air barrier system in their construction. Jennifer will outline the advantages and provide key take-aways required to successfully move the air barrier to the exterior. • Opportunity to achieve the required heat, air and moisture control layers all from the exterior with one product! Salvatore D. Ciarlo, P Eng. Sal is responsible for the design, certification and commercialization of complete building enclosure systems for the commercial, industrial and residential building construction markets. As a civil engineer with more than 26 years of experience in the construction industry, he specializes in high performance and net zero building envelope designs, acoustic and fire separation systems and solutions. Sal is very active on Provincial and National Code committees. He has presented educational seminars to architects, engineering professionals and builders across the country, focusing on next generation building envelope solutions and designs, net zero envelopes, air barrier systems, noise control and fire protection systems. Jennifer Weatherston is Director of Innovation and Estimating with Reid’s Heritage Homes. Her role over see’s the success of the company’s innovation and desire to be forward thinkers. Jennifer has led the product & design teams in advancing the successful path to Net Zero, while demonstrating a strong commitment to advance better building practices from a cost efficiency and production minded aspect. In keeping with the company’s initiative to build better homes and provide optimal value & comfort while ensuring affordability to buyers, Jennifer has worked closely with all aspects of the team to ensure seamless integration and improvement of new practices and processes while continually adhering to the company’s core values. More stringent energy codes require a different approach to the design of the building envelope. Builders are examining new ways of constructing walls that maximizes the performance of the different components by integrating them into one system. Bob Deeks of RDC Homes will profile one of his NZE Ready projects using BASF’s HP+ XR wall system. Chris has been with BASF Canada for over 15 years covering various aspects of technical support, product development, market development and customer training for the spray polyurethane foam business. His experience has brought him exposure to residential, commercial, and roofing applications in Canada and abroad. He has recently accepted the leading role in BASF’s spray foam site quality assurance and training program (QATP) for North America. Chris is also co-chair for the Spray Foam Coalition’s Canada Work Group. Bob Deeks, RDC Fine Homes Inc.
Bob is owner and President of RDC Fine Homes Inc. located in Whistler BC. RDC is an award-winning builder involved in the construction and renovation of both single family and multi-family residences with a focus on sustainable, healthy, high performance construction. Bob is a past president of the Canadian Home Builders of BC and was awarded Whistlers Business Person of the Year in 2015. He is currently Chair for CHBA's Net Zero Council, Vice Chair of the Energy Step Code Council and a member of the Standing Committee for Housing and Small Buildings for the development of the National Building Code. This 16 minute pre-recorded webinar will provide members with insight into the energy efficiency results of the 2017 CHBA Home Buyer Preference Survey. The full survey results (including access to the online tool for data customization) can be ordered at www.chba.ca/buyersurvey. You can learn more about participating in the 2018 survey here. Energy storage is a natural step in the evolution of sustainable and resilient home building. This cutting edge technology increases the amount of solar energy used directly in the home. It also provides a reliable, quiet and safe source of backup power. And for builders, it’s a key differentiator that will change the way people look at your next development, and your business as a whole. On this webinar you’ll receive an overview of this state-of-the-art technology, including how energy storage has been geared to residential applications, and key considerations for including it in your current and future projects. Panasonic is the world’s largest manufacturer of lithium ion batteries, with a legacy in energy storage that dates back to 1923. Panasonic Eco Solutions Canada is a leader in Canada’s solar industry, with over 55MW AC of solar installed or underway. Access the webinar recording here. The slide deck is available here. Join us for this webinar to learn about some of the tools that Energy Advisors and Builders are using to help design Building Envelopes for Net Zero Homes. Each presenter will provide an introduction to their tool, highlighting the key functionality and outputs. You will learn where to access the tools and who to contact for more information. After the presentations, you will have the opportunity to ask questions to the panel. Derek Satnik is a familiar face in CHBA and related discussions on sustainable housing. With nearly 40 million square feet of improved buildings on his resume and over 85,000 kW of renewable energy projects, Derek has made significant contributions to most of Canada’s leading green building programs including ENERGY STAR, BUILT GREEN, LEED, Net-Zero, and related codes and legislation. Now as VP of Technology at s2e Technologies, Derek leads s2e’s Smart Communities business, working with leading developers, technology suppliers and community designers on some of the most sustainable and technologically advanced communities in the world. Anil has been working in the housing energy efficiency field for over twenty-five years focusing on building envelope technologies, energy analysis and performance evaluations. He is also Technical Advisor for the leading-edge standards such as R-2000, ENERGY STAR and EnerGuide Rating System. HOT2000 is an energy simulation and design tool for low-rise residential buildings. It supports Natural Resources Canada’s EnerGuide Rating System, ENERGY STAR for New Homes and R-2000 energy efficiency residential programs. In 2015, updates to the rating system resulted in a new version of HOT2000 and new complementary report generation software. Anil's presentation will focus on modelling renewable energy in HOT2000 to determine the energy "budget" for a home. Sal is responsible for the design, certification and commercialization of complete building enclosure systems for the commercial, industrial and residential building construction markets. As a civil engineer with more than 25 years of building science experience, he specialises in high performance and net zero building envelope designs, acoustic and fire separation systems and solutions. Sal is very active on Provincial and National Code committees helping to develop energy codes and standards. He has presented educational seminars to architects, engineering professionals and builders across the country, focusing on next generation building envelope solutions and designs, net zero envelopes, air barrier systems, noise control and fire protection systems. 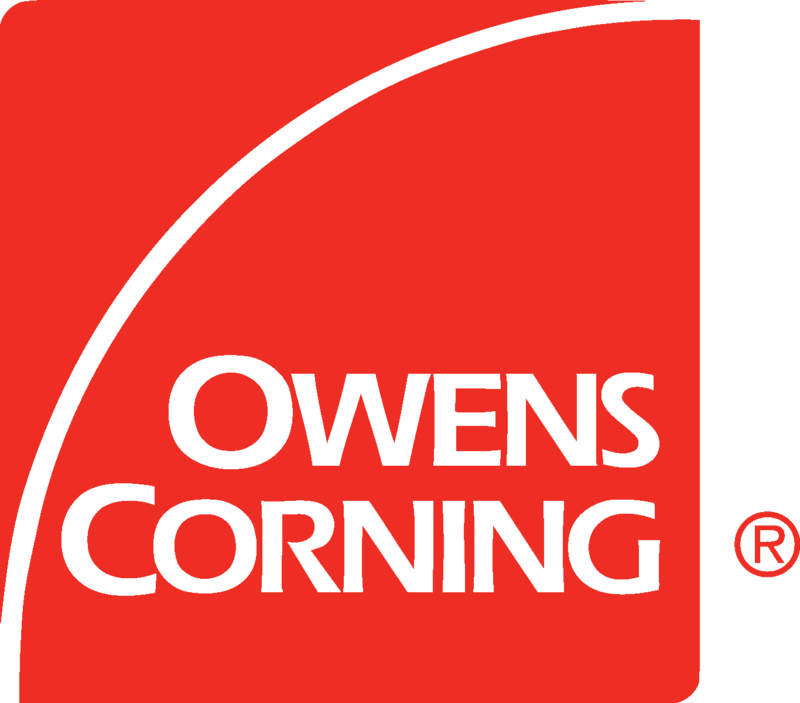 The Owens Corning effective thermal resistance calculator uses the calculation methodology, material values and framing factors listed in appendix A-9.36.2.4.1 of the National Building Code of Canada. Wood structural members are of the spruce-pine-fir type with a thermal resistance of RSI 0.0085/mm of thickness. Steel stud members are available as an option for walls above grade assemblies only with a thermal resistance of RSI 0.0000161/mm. The user can view the individual material thermal resistance values used in the calculation for the design assembly chosen by clicking on the “Download Results” icon. Assembly details are grouped by Continuous and Non-Continuous layers. Rob joined the Canadian Wood Council’s Codes and Standards division in 2005, progressing to “Director, Codes and Standards - Structural Engineering” in 2014. Concentrating on structural engineering, building science, and energy issues, Rob is responsible for the CWC’s Publication and Software business centre, participates on the Technical Research Committee and the Net Zero Energy Housing council of the Canadian Home Builder’s Association, participates on national building code committees (Structural and Energy) and is the Secretary/Associate for the Technical Committee on the “Engineering Design in Wood” (CSA O86) Standard. The Canadian Wood Council’s interactive Wall Thermal Design (WTD) calculator is a free tool to help designers comply to the new energy requirements. The calculator enables designers to explore options, compare features, and determine a suitable wall assembly that can perform across a range of Canadian climates. This free online tool provides effective R-values for wall assemblies and includes a durability assessment that considers computer modeling and field experience. Patrick manages the Building Performance Analysis Department at Morrison Hershfield. Patrick is a Building Science Specialist with a technical focus on evaluating the performance of the building envelope through testing, monitoring, and numerical simulations. Patrick manages and provides technical oversight on new construction and retrofit projects, investigation and assessment of existing buildings, and building science research. The Building Envelope Thermal Bridging Guide was prepared by Morrison Hershfield Ltd. incollaboration with many stakeholders and industry partners. This publication is provided to inform the practice of applying the Building Envelope Thermal Analysis (BETA) methodology for determining the effective thermal performance of building envelope assembly and interface details, as well as to guide BETA’s application in overall building design. Increasing energy performance requirements in codes means rethinking how we build envelopes. Examining the entire wall assembly and optimizing the window specifications may prove to be the best opportunity for builders to cost effectively improve the overall performance of their homes. putting in better windows reduces initial costs and operational costs. Lisa is an Executive Board Member of Fenestration Canada, chairs Fenestration Canada’s Fabricator’s Council and has been a member of NRCan’s Energy Efficient Fenestration Steering Committee, which dictates ENERGY STAR fenestration criteria, since its inception. She is also a voting member of the CSA A440 Technical committee, and is a Sponsor Member of the CHBA Net Zero Energy Housing Council. All of the teams held public opening events, and construction of all 26 homes is complete. Check out the project videos here. More information can be found on the project website here. Andy Goyda, Market Development Manager at Owens Corning Canada, provides an overview of the project results, and representatives from each builder present an overview of their Net Zero Energy/Ready homes. Click here for webinar recording and slide deck. Are you a planning on building a Net Zero or Net Zero Ready Home? Using right-sized HVAC equipment and ductwork will prevent on-off short-cycling, prolong equipment life, and increase operational efficiencies – not to mention improve occupant comfort. Smaller equipment and ductwork can also allow for greater design flexibility, offering more living space. Why it’s important that residential space heating/cooling systems have the appropriate output capacity – especially in low load homes such as Net Zero and Net Zero Ready Homes. How to calculate the heat loss/gain of homes for selecting the appropriate output capacity of a space heating/cooling appliance. Michelle Côté, Director of Business Development at Dettson Industries provides examples of their sustainable HVAC solutions designed to maximize residential comfort. 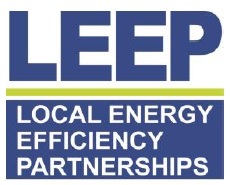 During the Spring/Summer of 2015, thirteen (13) leading Lower Mainland BC builders participated in Natural Resources Canada’s (NRCan’s) Local Energy Efficiency Partnership (LEEP) initiative. It was brought to the region through the support of the BC Homeowner Protection Office, BC Hydro, Fortis BC, the City of Vancouver, and the City of New Westminster. Builders use LEEP to reduce their time and risk in finding and trying innovations that could help them build higher performance homes better, faster and more affordably, reduce technical barriers, and improve supply chains. During the LEEP workshops in BC’s Lower Mainland, builders requested 3 presentations on Photovoltaic (PV) systems. CHBA hosted these presentations from experts on PV best practices and costing, which were reviewed by the BC builders, as part of the Net Zero webinar series. 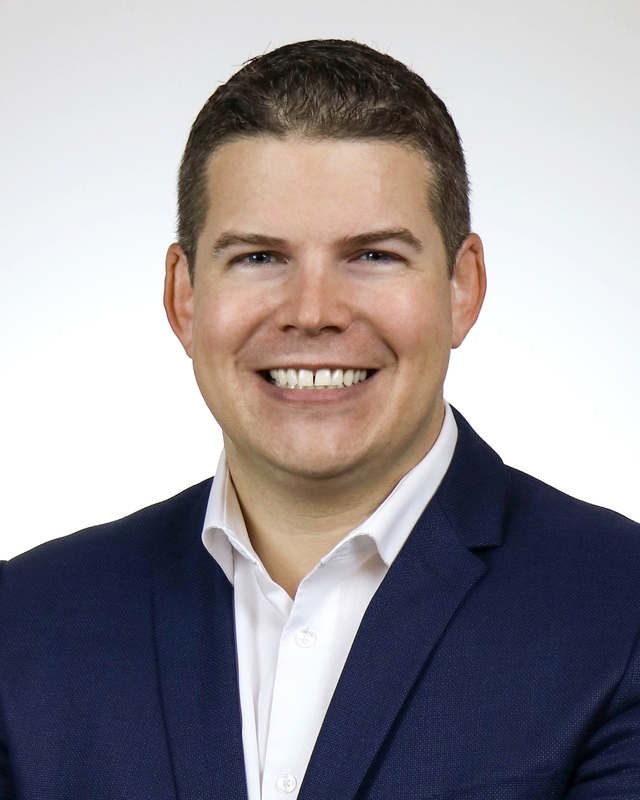 Ben Giudici is an electrical engineer and director with Riverside Energy Systems in Kamloops BC, former faculty at Thompson Rivers University in Kamloops, and well versed in the design and application of PV systems in British Columbia. Riverside Energy Systems has designed and installed numerous residential and commercial PV systems in BC and abroad, including the CMHC EQuilibrium Green Dream Home in Kamloops. Ben’s presentation focuses on grid connected PV system basics, assessing shading and designing for shade tolerance, and metering and monitoring systems. It also includes a full system design and costing exercise based on the locally selected archetype home for the BC Lower Mainland LEEP initiative. Webinar #2 (Feb 2, 2016) Matthew Schiedel, Building Knowledge Canada Inc.
Matthew Schiedel, is Building Knowledge Canada’s Net Zero Energy expert. He is the lead on several Net Zero projects for Building Knowledge, including regional consultant for Reid’s Heritage Homes’ five ecoEII community Net Zero Energy homes, two R-2000 Net Zero Energy home pilot projects and five additional CHBA Net Zero/Net Zero Ready pilot projects. This has exposed Matt to the wide variety of solar photovoltaic technologies on the market today and the struggles faced by builders during specifying, installing, connecting and operating solar arrays. This presentation focuses on the next generation of roof integrated PV products that are coming onto the market. Specifically, PV shingle products, PV roof shingle/panel products, as well as their system design and installation. It includes two case studies with associated costing and energy impact for two roof integrated product currently available in the market. Webinar #3 (Feb 9, 2016) Kyle Kasawski, SOLARMAX Power Inc.
Kyle Kasawski is the Managing Director of SOLARMAX Power, PV supplier for the Landmark Group in Alberta. Kyle’s presentation focuses on how conventional PV can be integrated into the home to provide a more integrated look for roofing surfaces, and provides insight into how builders can market and promote PV to potential customers. Kyle also presents a full system costing for the tract home application, based on the locally selected archetype home for the BC Lower Mainland LEEP initiative.